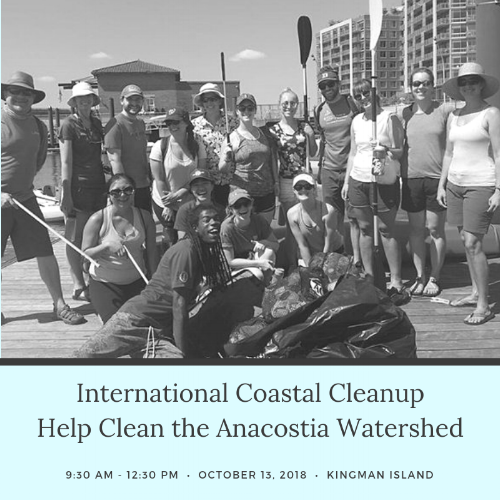 Join WAN's Community Service Committee as we continue our efforts to help cleanup the Anacostia watershed by joining forces with the Ocean Conservancy for the International Coastal Cleanup at Kingman Island on October 13. Breakfast, lunch, and supplies will be provided. A free shuttle service will be available from the Stadium-Armory metro stop, available from the Orange, Blue, and Silver metro lines. Parking is also available at RFK Stadium Lot #6.